Paul has spent most of his diverse career as a business owner. It was while working in the construction industry that his passion for real estate evolved. Paul's professional experience has played an important role in developing his abilities in real estate. 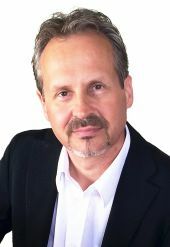 Paul is currently licensed as a managing broker, Realtor® and property manager in both British Columbia and Alberta. Paul is also a local retail business owner on Salt Spring Island. When Paul is not working he likes to spend much of his time with his family outdoors and is a volunteer member of Royal Canadian Marine Search and Rescue.